Working on behalf of Failte Ireland we recently completed a new retail information hub at Dublin Airports Terminal 2 facility. 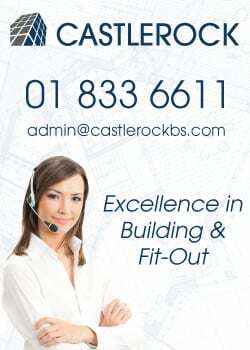 Just over 93% of our projects the requirements and specification from Failte Ireland we completed on time and within budget to the highest standard. Every year millions of airport users will be passing through the busiest terminal in the country availing of the information available from Failte Ireland in a setting provided by Castlerock. Look out for it when your passing through T2 on your next trip.